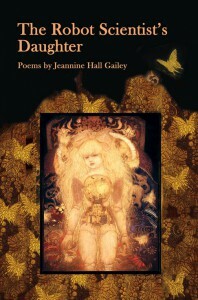 Mayapple Press is pleased to announce that Jeannine Hall Gailey’s The Robot Scientist’s Daughter has been nominated to the semi-finals of the Goodreads Choice award in the poetry category. The Goodreads Choice Awards semi-final voting lasts until November 15th, so please go over there and vote! Voting for the semi-final yields 10 nominees in each category. The final round starts on the 17th of November.